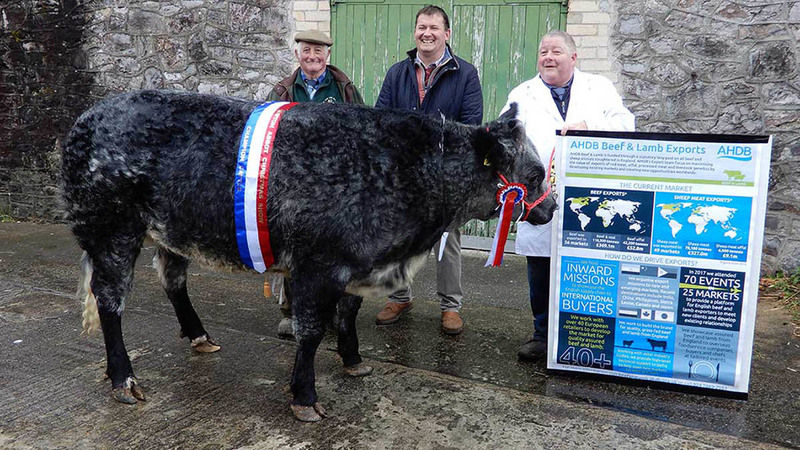 NEWTON Abbot market, Devon, hosted a Christmas sale with 28 cattle and 63 head of sheep forward, which was well up on the previous years. The PGI classes were sponsored by the Agricultural and Horticultural Development board. Leading the cattle classes and the overall show championship was Brian Trant, Dittisham, Dartmouth, who will be offering the beast for sale at Dartmouth show (Tuesday December 12). Topping the commercial class was B. and J. Quant, Whilborough, Newton Abbot. 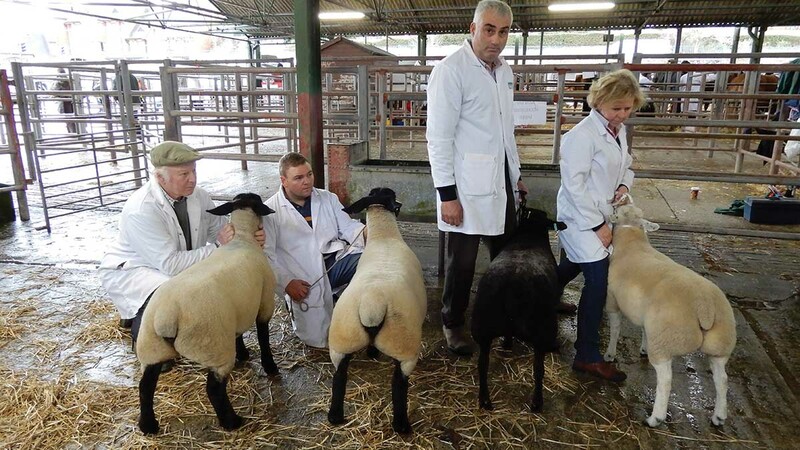 The PGI sheep classes was won by local Suffolk breeder Michael Waycott, Ashburton, while the overall championship went to Gwen Renfree, Liskeard, Cornwall. The PGI carcass class was won by Fred James, Moretonhampstead. L-R: Roger Trant, judge Andrew Haste and Brian Trant.